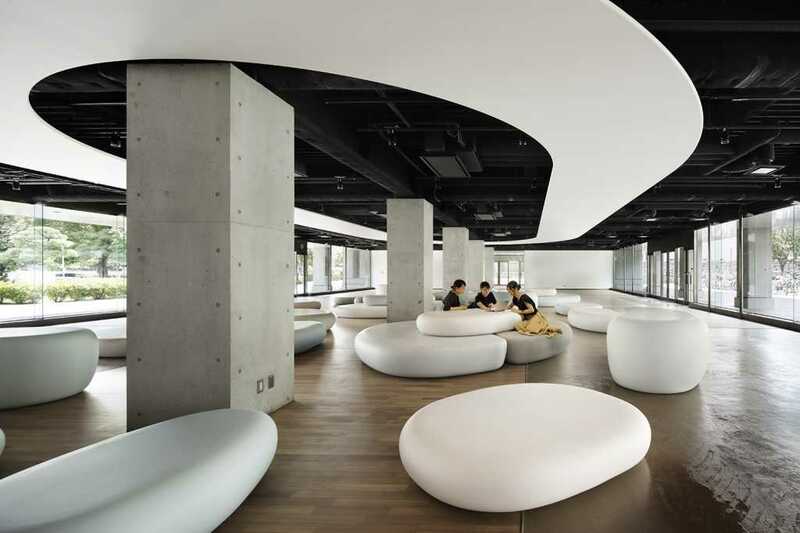 “ZERO SPACE” was created as a relaxing space for students at Musashino Art University. This space consists of glass windows with 35m in length from east to west and four entrances on each side. During the break time, many students pass through this space as a flow path. The layout of bench seats is carefully planned to block the central flow that is a shortcut. The design motif of the bench is pebbles. White zero-shaped plate is floating at the center of ceiling, and it creates different characters of the place inside and outside the plate. The inside is an area where pebbles are gathered, and it indicates a sense of the place where one could belong. The shape of pebbles reproduces the roundness created by the flow of a natural river. 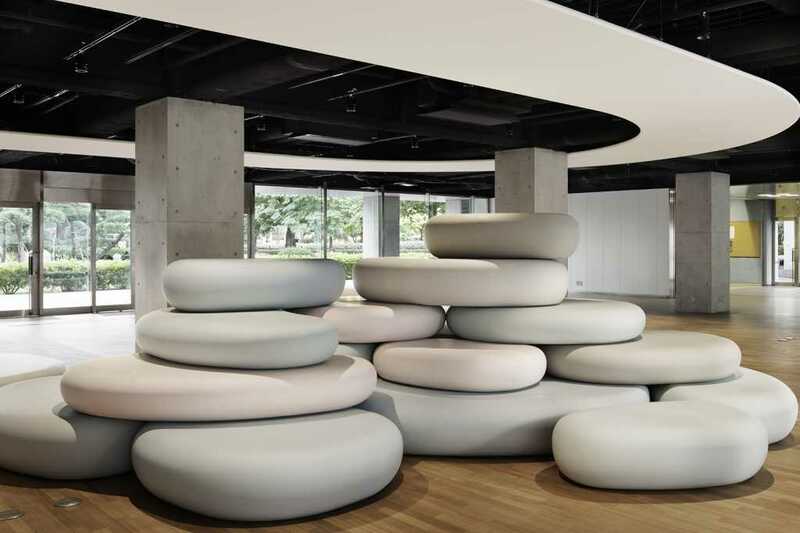 The expression of shape, size, color and textures of pebble benches suggests appropriate softness. Everyone has their own styles of seating and sleeping, and having searched for an optimum solution, “ZERO SPACE” was created as a highly flexible space to suite each one’s purpose and let people use sensuously both alone and in a group. I would be pleased if user experience could stimulate one’s imagination and awareness. Light in “ZERO SPACE” is controlled by carefully planned lightings at all time. During the daytime, natural light from window serves as a main light, and as the night is falling, making the most of the zero-shaped plate, the presentation mode of lightings starts and shifts slowly.